Big news from a part of Borneo today - Kalimantan - in the Indonesian part of Borneo – where a Sumatran rhinoceros has been found in the wild there for the first time in 40 years. 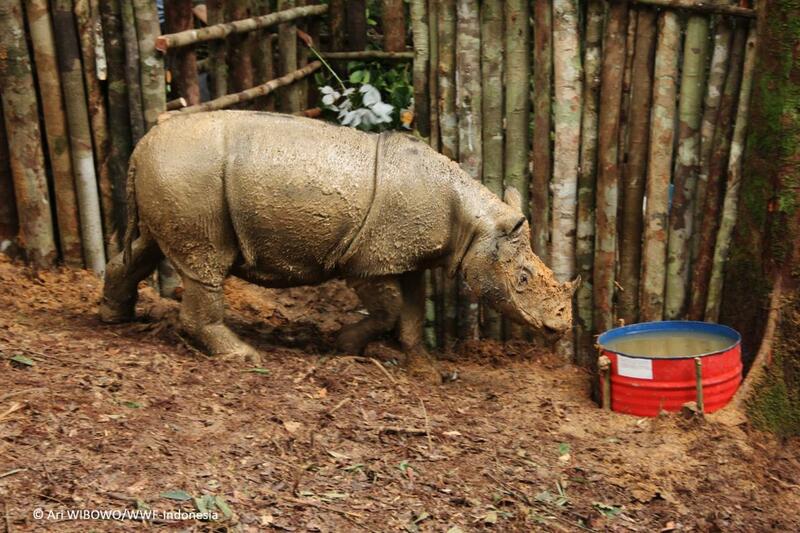 The World Wildlife Fund is announcing that a female Sumatran rhino was captured safely. These extraordinarily rare rhinos can never be left in the wild due to the savage poachers who would kill them for their horns, valued in China and Vietnam where a mistaken belief they have medicinal and other value exists. Scientists say the keratin they are made of – like fingernail and hair – have no value except for the rhino. This one was caught in a pit trap March 12 and is currently in a temporary enclosure before a planned helicopter airlift to a site hoped to become the second Sumatran Rhino Sanctuary, where three others are planned to be located. “This is an exciting discovery and a major conservation success,” the CEO of WWF-Indonesia, said in a statement. The smallest of the world's five species of rhinos, the Sumatran rhino is covered with patches of hair, and is one of the rarest mammals on the planet. 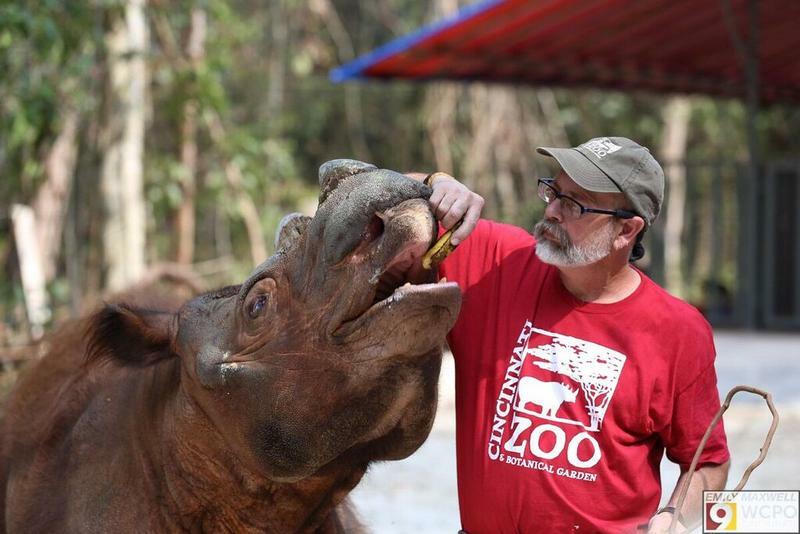 Learn more in our HPR report online called Hope for Harry, about Harapan the Sumatran Rhinoceros moved from the Cincinnati Zoo to the Sumatran Rhino Sanctuary a few months ago.